Seasonal May 1st through September 30th. Reunion Home and both Vacation Rentals open all year. 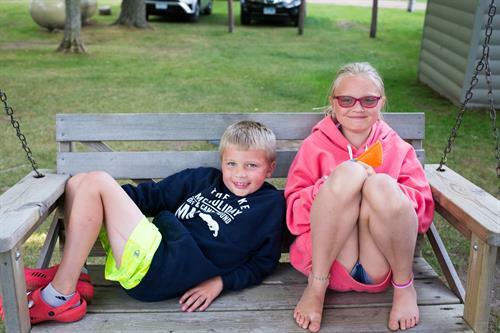 Camp Holiday is nestled along the shores of Turtle Lake in the heart of the Mille Lacs/Brainerd/Cuyuna area. 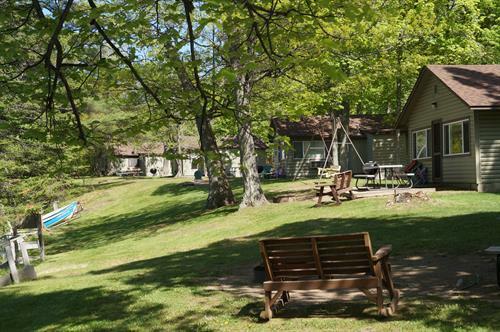 We offer 12 Cabins, a 7 Bedroom Reunion Home, Two Private Home rentals and 40 Campsites. Pets are welcomed. The Resort and Campground offers two beaches with bongo raft and slides, shower house, cleaned daily, sauna, “New” Rainbow playground equipment, basketball, tetherball, volleyball, sand diggers, Flintstone cars, game room. 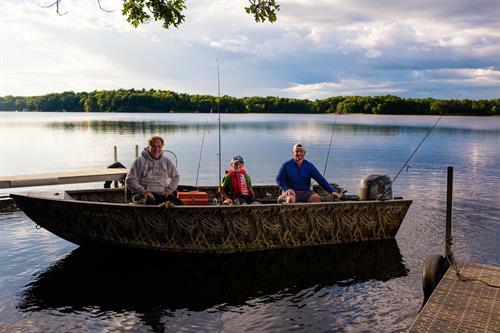 Plus, boats, motors, pontoons, hydro-bikes, kayaks and canoe rentals. There is a store on site with bait, tackle, groceries, clothing etc.…All cabins are air conditioned and have Satellite TV, free WIFI, picnic table, fire pit and charcoal grill. Each campsite has a picnic table and fire pit. 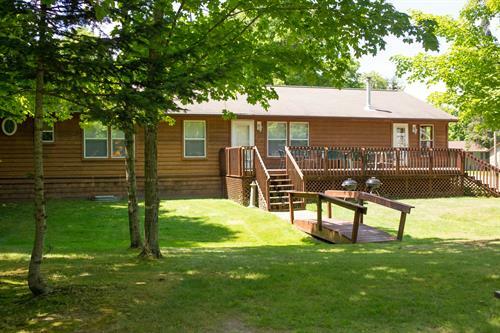 Our Northwoods Private Vacation Home is secluded on 30 wooded acres with over 900 ft of lake shore. It has 7 bedrooms, 4 ½ bathrooms, large kitchen/dining room, living room with floor to ceiling stone gas fireplace, family room with pool table, Granite counter tops, three season porch, large deck overlooking Turtle Lake, private beach and dock, AC, WIFI and Satellite TV.